Prefab housing is right here in Nigeria. Modern prefab homes are gradually gaining acceptance in Nigeria as many people realize the undeniable benefits of prefabricated buildings. In fact, entire estates are springing up that consist of entirely of modern prefab homes. Entire estates consisting of manufactured prefabricated buildings? Wait. Why are more and more people becoming favourably disposed towards buying or building prefabricated buildings? What are the benefits of prefab housing? This means that if you want a quick built house with built-in style and elegance, your best bet is a prefabricated home. Modern Prefab Homes Construction - How Fast? You're likely wondering, "How fast can I get a home up if I order one of your modern prefab homes?" You can get your prefab building up and ready to use in as little as 2-3 weeks, depending on workload. What if you want to build, say, a school with several classrooms and with total size bigger that one building? Your prefab school building will be up in three weeks. Thinking of starting a new school or opening a new branch of an existing school? Want to launch the school building or get the school building ready before the next term begins? Simply order one of our prefab housing units tailored for schools with unique school design to start the process of speedily launching your new school facility, a new branch of your school, or an extension of your current school facility. There is one thing that experts everywhere in Nigeria agree on. And it is this: there is housing shortage in the key cities of Nigeria especially Lagos Nigeria. The problem is . . . houses are not being built as fast as the population is growing in key cities like Lagos, Abuja, Port Harcourt, and other serious commercial cities in Nigeria. What is the solution to the current housing deficit in Nigeria? Simple answer: Adopt our prefab technology. Our modern prefab homes makes it easy to produce houses enmass in our factory and distribute this to wherever they are needed in Lagos Nigeria and anywhere else in the country. 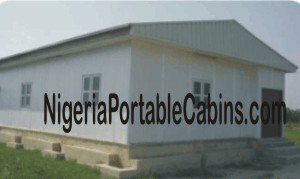 Quick built prefabricated houses also make it possible for the government, well-meaning individuals, and philanthropist organizations to quickly come to the aid of displaced citizens of Nigeria (and anywhere else in the world) whenever natural disasters (e.g. flooding, earthquake etc) or man-made disasters leave many people homeless. Want to quickly address the housing shortage in Lagos Nigeria and other commercial cities in Nigeria? Go for our modern prefab homes and use our prefab buildings to build large housing estates that provide shelter to hundreds (even thousands) of families in one clean sweep.